Providing leadership to today’s organizations, with their increasing complexity and evolving governance requirements, can challenge even the most competent and talented corporate, nonprofit and foundation leaders. David Kushner has more than 35 years of experience helping CEOs, presidents and governing boards find effective solutions to the challenges facing them today. 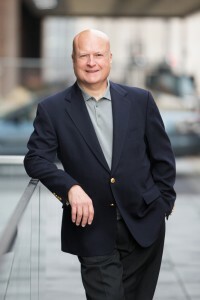 David has successfully advised leaders and their organizations in a variety of areas, from strategic direction setting to operational planning, from assessment of governance policies and procedures, including acting as mediator for disputes that may occur. David's advisory and consulting services are strategic and confidential, and include strategic planning, improving governance, organizational assessments, and succession planning. David is frequently honored to shepherd organizations -- from nonprofit industry associations to for-profit corporations -- through seamless unifications and restructurings. David guides leadership teams and governing boards through complex discussions, helping them to resolve conflict through effective mediation. David is a trusted advisor to senior leaders, helping executives develop successful strategies through executive coaching.